Hello love-pugs! I hope that everyone is having a lovely week, especially since it is National Dog Week. I am thrilled that my 20th birthday falls smack-dab-in-the-middle of this fabulous celebration of canines! Since there is so much to be happy about, we want to invite you all to do something special. 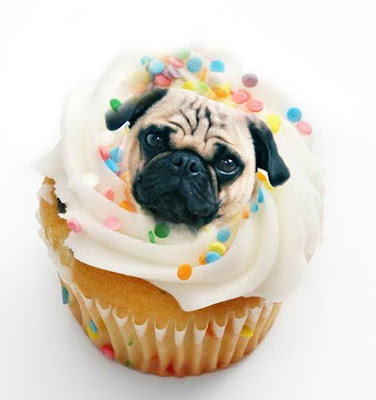 In honor of my birthday we will be having "Canine Cupcakes" during this Wednesday's blog. They will look like JD's cupcake pictured above. We want all of our animal friends to join whether they be dogs, cats, birds, or any other living being. 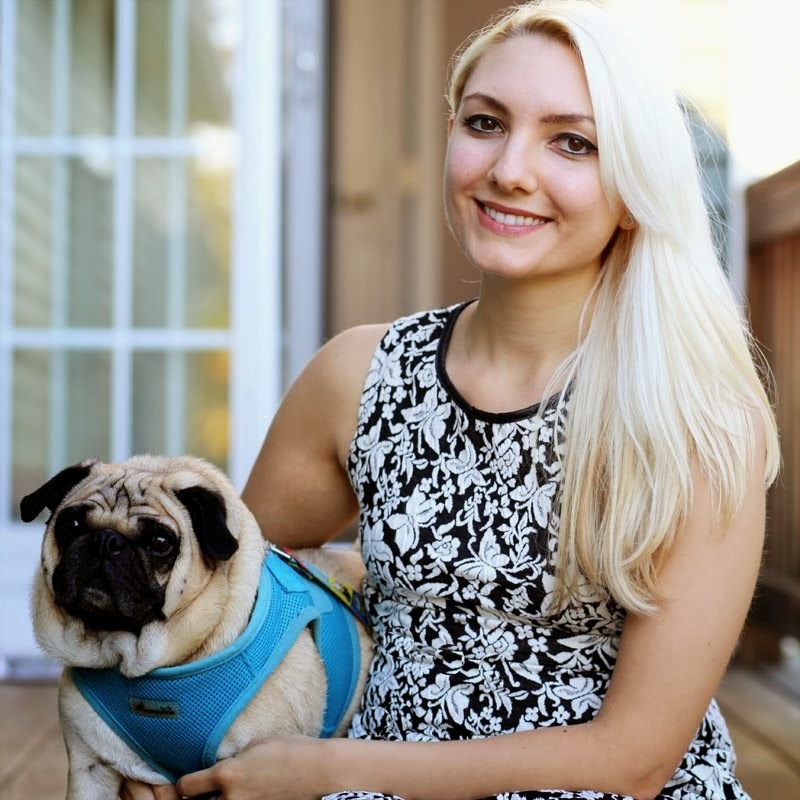 Send us your pets' photos via a comment or via e-mail to jessica@allyouneedispug.com and we will make a cupcake for each pet and post it on Wednesday's blog! We will also be giving away 2 surprise items on Wednesday; one for humans and one for pets. All you have to do is come by on Wednesday and leave a comment to be entered to win, so don't forget to come on by! Lastly, we want to make sure that we make this week as special as can be, so we added a "SALE" section to our Etsy shop where you can find discounted goodies. We will be adding new items to it throughout the week, so keep checking in! We hope to see you all at my Blog Birthday Party on Wednesday. Don't forget to send your photos in so that I can bake up a charming batch of Canine Cupcakes to share! Happy early birthday! JD looks yummy on the cupcake. Count us in for the cupcakes and contest on Wed.! AWWWW! Happy Birthday and whatta great cupcake. Counts me in. I will send you a scrumptious picture of me. How fun is this!!! Thank you for coming by to invite me! Count me in,,,,, for his wonderful event,,, i would not miss it for the world! What an aforables cupcake with JD on it. Me and the LuLu bug are so exciteds about the cupcakes! Happy Birthday!!! Hey, cool! We luvs pupcakes!